Sunday I joined the USk crowd sketching at the Burke Museum on the UW campus. Sketching is usually a solitary occupation, so it is great to be part of a group and see other people sketching everywhere you look! 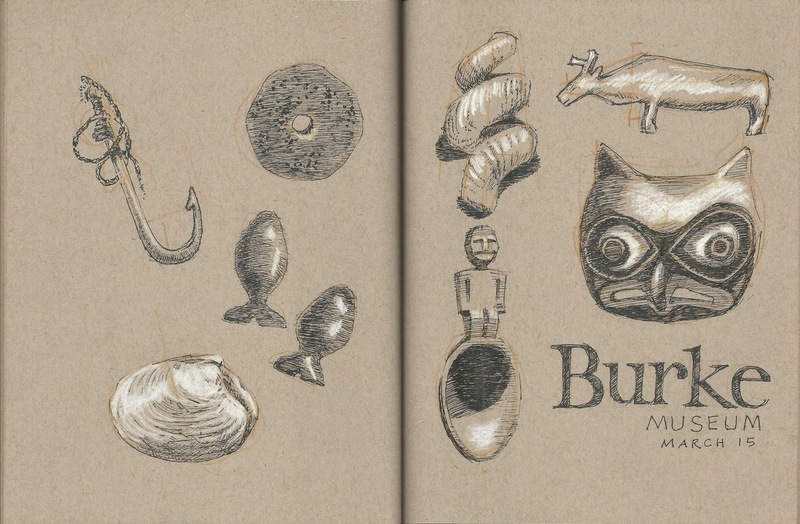 I wandered through the museum, drawing objects from the collection as they caught my eye. Very nice page layout Susan! Great sketches.